Too many people in the world, including in rich countries, do not have access to reliable and affordable energy source. Every year natural disasters cause devastation to infrastructure, leaving hundreds of thousands of people without energy. Many die because of heat or because they don’t have access to water. Our planet is getting warmer, ocean levels rise, frequency and magnitude of severe weather events are increasing and weather patterns are becoming more unpredictable. We can and we have to do something about it. 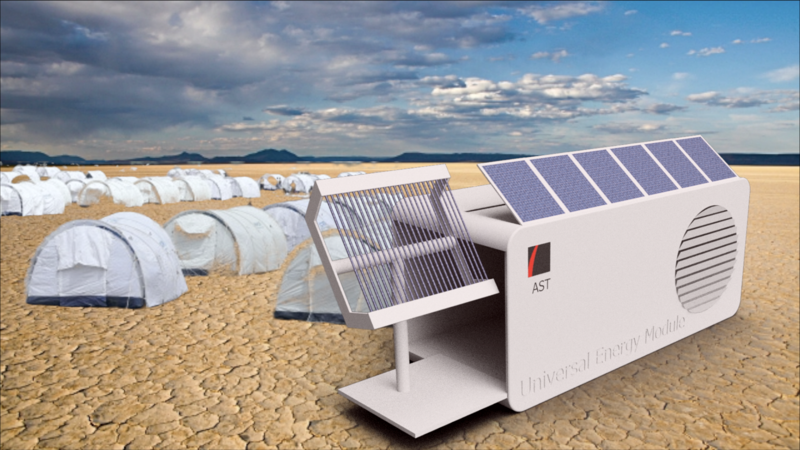 We are launching a crowdfunding campaign for a project which will bring reliable clean energy source on demand to people anywhere in the world: AMES – Autonomous Mobile Energy System. It could be delivered to any location in the world, rapidly deployed and serve as an uninterrupted source of energy on demand. No grid, no fuel, no emissions. Please support the good cause. Spread the word, share with others who care. This entry was posted in Uncategorized and tagged autonomous, clean energy, disaster releif, module, solar. Bookmark the permalink.